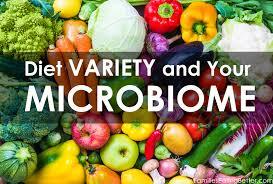 The microbiome has been gaining popularity in the news and in health science. Researchers are discovering more about the strong connection between the interactions of the bacteria in the body and a person’s overall health. Particularly, the gut and the brain. The gut is home to a myriad of bacteria, both beneficial and pernicious. The brain and the gut communicate on a two-way street by sending signaling molecules to each other. These interactions can help to determine a person’s brain function and overall health. The gut-brain axis has an impact in a person’s risk for psychiatric disorders and mental illnesses. Examples include depression, anxiety, and schizophrenia. The gut may also play a role in the development of autoimmune disorders, diabetes, gastrointestinal problems and even cancer. Stress can also harmfully impact the gut. It can cause the intestines to allow bacteria to spread throughout the body, known as leaky gut, which can exacerbate stress related symptoms and further increase harmful inflammation throughout the body. Researchers are working hard to uncover more about the gut-brain axis. Eventually, they may be able to identify the exact role that the gut and certain bacterial strains have in negative health outcomes and specific diseases. But for now, there is a well-established link between a healthy gut and a healthy functioning body and mind. In order to modify the gut and produce favorable health outcomes, it’s important to consume probiotics and prebiotics on a regular basis. Probiotics contain beneficial strains of bacteria that can protect the body and combat hazardous strains. They also help the body to better absorb essential vitamins and minerals. Food sources of probiotics include fermented foods like yogurt, sauerkraut, kombucha, kefir, tempeh and miso soup. Prebiotics help to support the impact of probiotics by stimulating advantageous bacterial growth. Food sources of prebiotics include raw and cooked onions, raw dandelion greens, raw garlic, raw asparagus and bananas. Even a person in good health can benefit from the incorporation of these types of foods. Probiotics and prebiotics help support a healthy functioning gastrointestinal tract, such as regular bowel movements and improved micronutrient metabolism. Furthermore, a healthy gut may reduce the risk for issues pertaining to anxiety and depression. Lach G, Schellekens H, Dinan TG, Cryan JF. Anxiety, depression, and the microbiome: A role for gut peptides. Neurotherapeutics. 2018;15(1):36-59. Markowiak P, Śliżewska K. Effects of Probiotics, Prebiotics, and Synbiotics on Human Health. Nutrients. 2017; 9(9):1021. Previous post: Have you heard of Health at Every Size?